Service and Safety……………….Since the inception of the National Ski Patrol by Charles Minot "Minnie" Dole in 1938, “Service and Safety” has been the NSP motto. Keeping people safe on the mountain and during other outdoor activities is the mission of every patroller wearing the red jacket with the white cross on back. Could you be a patroller? Would you like to become a member of an organizations whose core values are Excellence, Service, Camaraderie, Leadership, Integrity and Responsiveness? Life happens and the patrol is continually looking for snow sport enthusiasts willing to give their time and skills to help recreationalists be safer during their outdoor pursuits. Please fill out our “Join the BBSP application” if you are interested in trying the life of a patroller for a day. If you are looking for first tracks, you will be sadly disappointed. A patroller’s duties on those glorious powder days start with skiing the area perimeter knocking snow and rim ice off the boundary ropes and side slipping ridges made by the groomers. You may have noticed that I haven’t said anything about exceptional ski or boarding skills. It is true that to be an alpine patroller you need to be able to ski or snowboard well and be able to confidently ski the entire mountain in all snow conditions. We also have a vital need for patrollers whose primary duties are in the aid room assisting patients as they await transportation home or to a hospital. These patrollers may prefer snowshoes or cross country skis as their favored snow sport, but they still fulfill a critical need within the Bogus Basin patrol and are respected by their peers for their patient care skills. The upside to sacrifice is patrollers are asked to patrol 20 days a year. The downside to patrolling 20 days means skiing almost every Saturday or every Sunday of the season. So you need to give serious consideration to whether patrolling will fit into your and your family’s life style. There are some perks (ask us about them) and probably the biggest, most valued perk is new friends…friends who you will keep in touch with for the rest of your life. Thank you for your interest in becoming a member of the National Ski Patrol. Looking forward to skiing with you! Idaho Gives! What a Success! Bogus Basin Ski Patrol recieved $995 from just 15 donors. Mega thanks to each and everyone who gave. 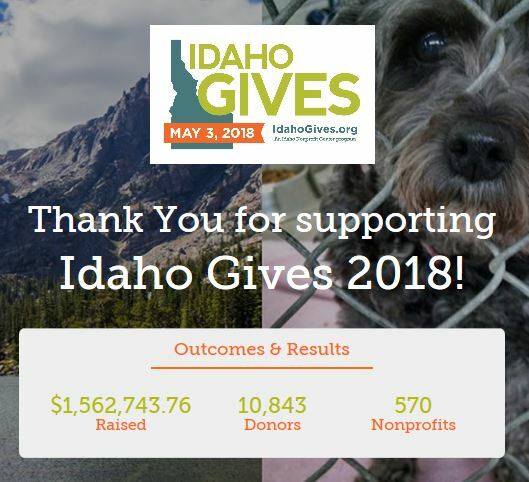 Check out the Idaho Gives website, www.idahogives.org/organizations and look at how well other organizations fared with their fund drives. Bogus Basin Ski Patrol is a 501(c)(3) non profit organization dedicated to providing year round emergency first aid services for guests at Bogus Basin Mountain Recreation Area.